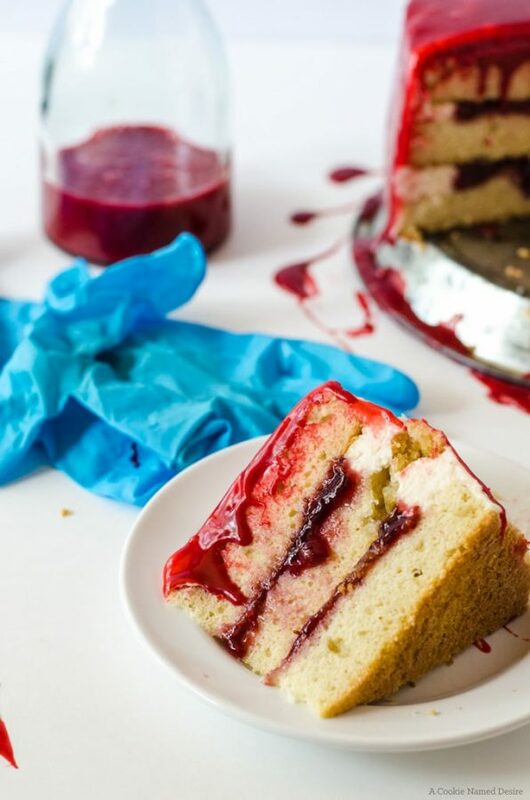 This bloody white cake with raspberry jam is as easy to make and incredibly gory. I don’t usually use food coloring because of an incident with my daughter on her first birthday. You see, she loved Gnomeo and Juliet and her birthday was themed after the movie. One of her cakes has a Juliet decoration that was red and sparkly. Well, the next day she had bright red sparkling poo. After that, I decided we are better off staying away from stuff like that. I do make an exception for Halloween now that she is older. A while back I found a red velvet emulation which basically means it gives that signature red color as well as that classic red velvet flavor. 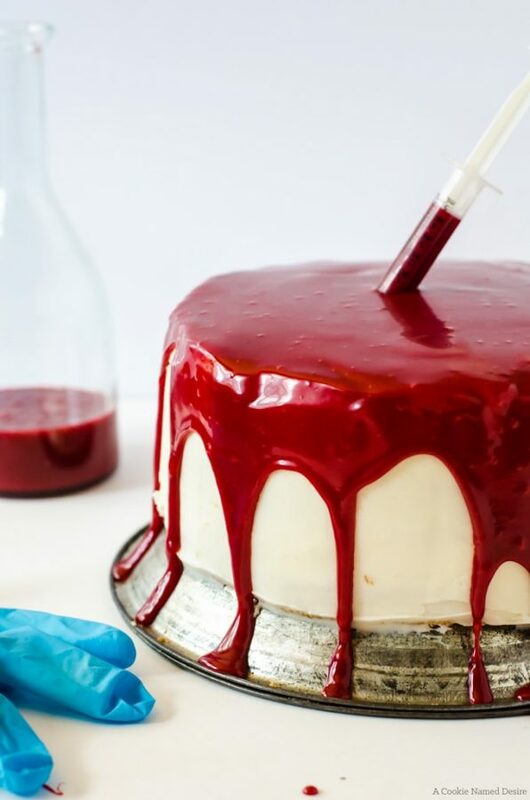 It gives the white chocolate ganache both a gory and utterly irresistible flavor. 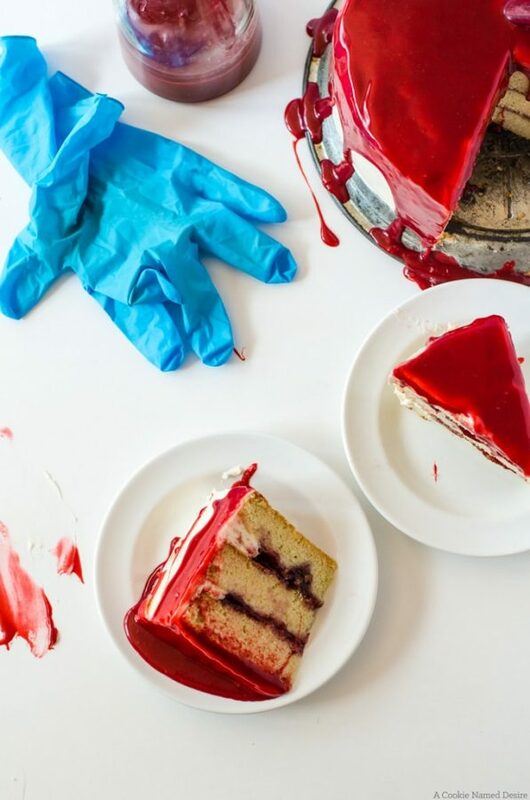 If you can’t find red velvet emulsion, regular red food coloring would work just fine! Hey, my friend Nagi came out with an amazing food photography book. 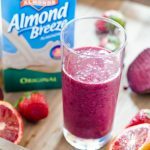 Check out Recipetin Eats The Food Photography Book here! Grease and flour three 9-inch baking pans. Preheat the oven to 350 degrees. Beat the butter and sugar together until light and fluffy. In a separate bowl, mix together the cake four, baking powder, baking soda, and salt together. Whisk well. Beat the egg whites one at a time into the butter mixture. Add in the extract and the vanilla bean. 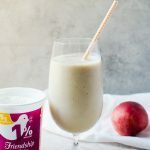 Alternate between adding the flour and the milk into the butter mixture in three batches, beginning and ending with the flour. Evenly distribute the batter among your cake pans and bake for 20 - 25 minutes. Allow the cakes to cool completely before removing from the pans. Wrap well and freeze for about 2 hours, or up to overnight. In a saucepan, heat the heavy cream until steaming. Add the white chocolate and stir until melted. Add in the red velvet emulsion. Cool until a room temperature. Beat the butter for the frosting until smooth. Add in the powdered sugar one cup at a time until well combined. Add in the vanilla bean scrapings and the heavy cream. Beat well on slow for about 2 minutes. Level the cakes as needed. Place ¼ of the buttercream into a piping bag fitted with a plain tip. Pip a circle along the outer edges of two of the cake layers. Fill the inside of the ring with raspberry jam. Place one of the layers on top of the other, and place the plain cake layer on top. Frost with the remaining butter cream. Top with the red velvet ganache. This is awesome! Love gory Halloween treats. 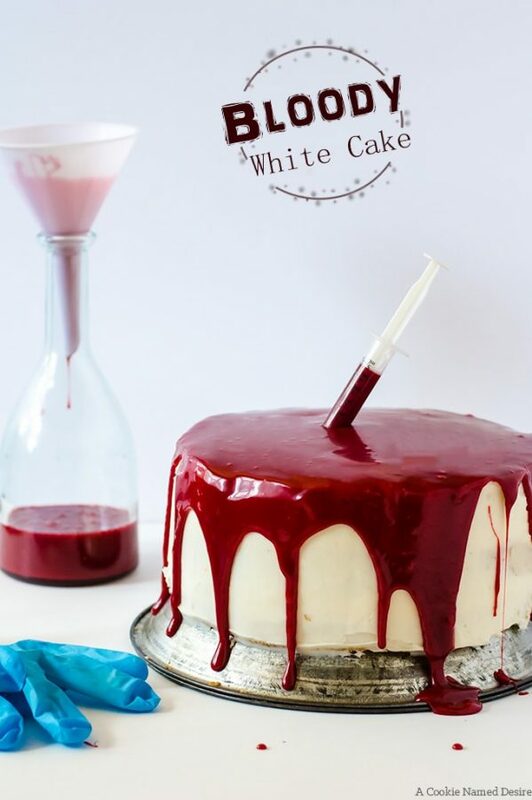 What a great idea using red velvet emulsion as well. Pinned! Thanks for sharing. I love making “festive” food. This is terrific for a Halloween party. Not only looks creepy, but also delicious! OK this is legit spooky!! Love it!! Wow, this cake looks so freakin awesome, Amanda! I love how it’s gory but still incredibly appetizing! I don’t blame you for laying off the red food coloring – I’d be spooked after seeing red poop too lol. But this cake seems like it’s totally worth the dye because it looks so yummy and so festive. I love it!